The Silhouette Series SX25i is a compact and stylish 25W per channel, high quality, stereo integrated hi fi audio amplifier module. The SX25i is the unit of choice when high quality audio reproduction is required for a small room, office or apartment environment. 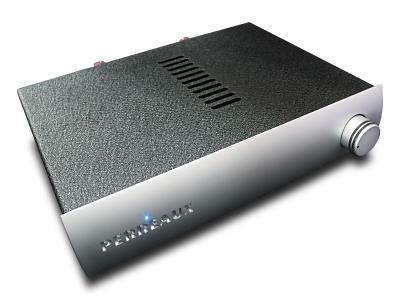 As with all Perreaux products, the design is completely solid state, featuring the finest audiophile grade componentry throughout. The styling of the SX25i is subtle and discreet, allowing seamless integration into existing hi fi audio systems or the perfect compliment to other products from the Perreaux range. This is a very good sounding little Amp. Not romantic or tube-like. It tells you exactly what your front-end source components are doing. I tried using it with my PC for desktop sound, but found it too accurate showing up the limitations of mp3 downloads. It tests very well on the bench and easily puts out more than it's rated power. It is now used in the bedroom for night-time listening with a Phillips player and Lowther full-range DX3 reflex loaded with a 12" passive cone. The sound is very detailed and pleasant.